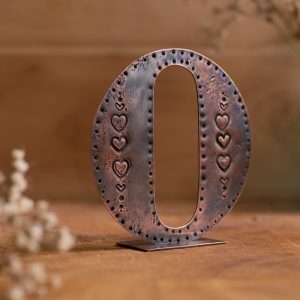 Made from flattened recycled copper plumbing pipes and industry offcuts, these small stand alone letters are hand cut and stamped with deocarative details. 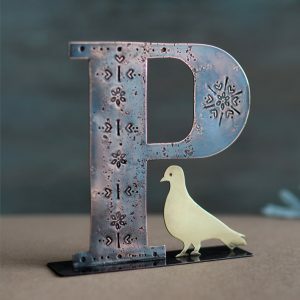 You can buy them as plain copper letters, or letter with brass embellishments. 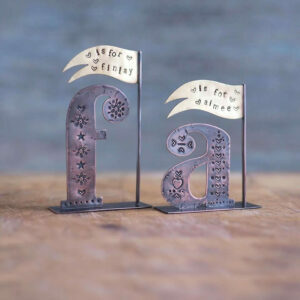 You can also buy some of the small brass embellishments as individual brass pins. I take commissions and happy to work to bespoke requests.